Reef-Sunset Unified School District Superintendent David East is worried about water. Not because of the drought—record rains this past winter ended five years of dry times. Rather, East, whose district encompasses the small towns of Avenal and Kettleman City on the San Joaquin Valley&apos;s west side, is worried about the safety of the water that the 2,700 students in his school district are being given to drink. That&apos;s because arsenic levels in the drinking water at some schools in the San Joaquin Valley exceed the maximum federal safety levels by as much as three times. And arsenic is not the only threat to schoolchildren. High levels of pesticides, nitrate, bacteria, and naturally occurring uranium also contaminate groundwater in many rural parts of the state. In East&apos;s district, his Kettleman City school exceeds the safe level of arsenic. And for schools in Avenal, the problem is high levels of trihalomethanes, a disinfectant byproduct that forms when chlorine that is used to treat the water reacts with organic matter in the water. Although naturally occurring, arsenic can be dangerous, especially to children. According to the National Institutes of Health, arsenic is a known carcinogen and exposure to arsenic as a child is associated with the higher risk of later developing cancer. And trihalomethanes may also be carcinogenic, according to the State Water Resources Control Board. "Imagine growing up in a community where you can&apos;t drink the water and you go to school and you can&apos;t drink the water—that sets you up to think that&apos;s the way life is," says Susana De Anda, the co-founder and co-executive director of the Community Water Center, which works on ensuring clean water for all Californians. "Everyone should be able to drink tap water without the fear of getting sick. 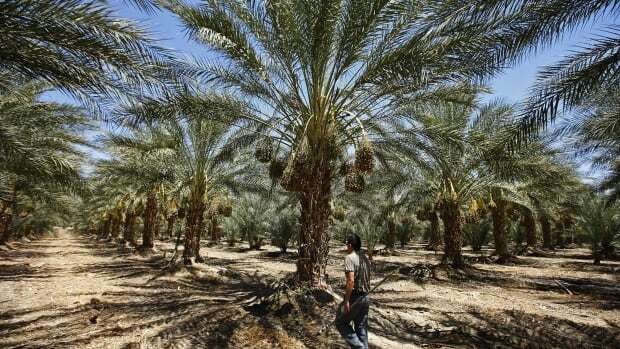 Those are not the conditions you want to condemn future generations to live in." In 2015, the Lucile Packard Foundation for Children&apos;s Health mapped out water quality violations reported to the California Environmental Protection Agency. The researchers found that of the roughly 1,600 public water violations throughout the Central Valley, 40 percent of them were clustered in just four San Joaquin Valley counties—Kern, Madera, Fresno, and Tulare. "The San Joaquin Valley has the highest concentration of water pollution in schools," says Ari Neumann, assistant director of the Rural Community Assistance Corporation, which works with state agencies and non-profit organizations to expand access to safe drinking water in California, with an emphasis on communities of fewer than 20,000 people. "There are some schools where they&apos;ve turned off the water because they know of contamination." A report published by the Community Water Center and the Environmental Justice Coalition for Water assessed the threat that schools face from contaminated water. Some schools receive water from public water agencies in the area and some have their own groundwater wells. Comparing state water quality data to the location of schools, the study found that, in 2003–14, between 500,000 and one million schoolchildren lacked access to safe drinking water. One in four Central Valley schools received contaminated water, while one in three did so in the Tulare Lake region. 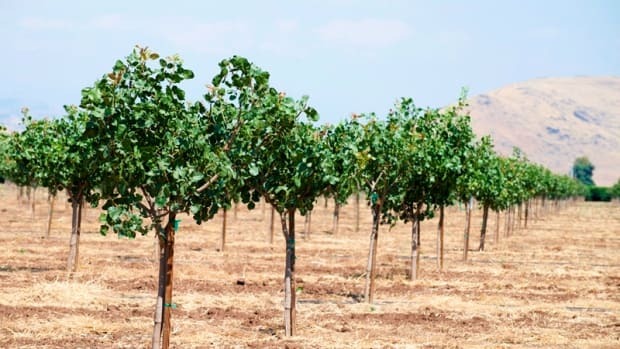 "You just can&apos;t drink any of the water," says Jennifer Hedge, superintendent of the two-school Rio Bravo-Greeley Union School District, which serves roughly 1,100 students, outside of Bakersfield in Kern County. Because of elevated nitrate levels, "cooking is done with bottled water. There are no drinking fountains," she says. Hedge&apos;s schools are currently being fitted with a water treatment system. The project has, to date, cost about $70,000. 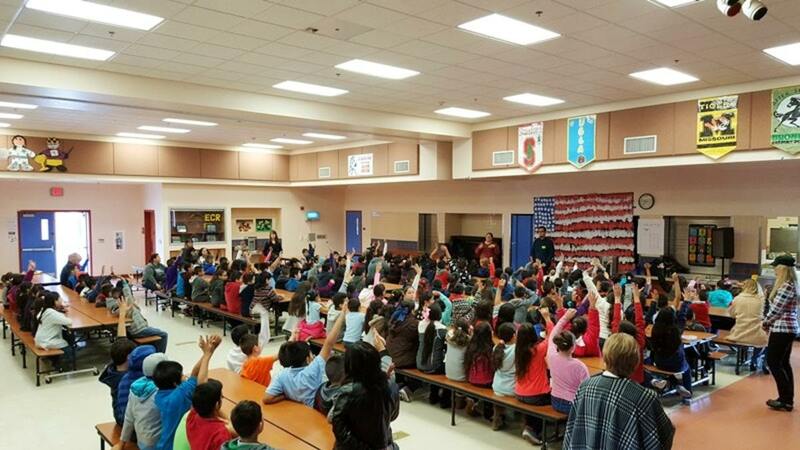 Students at El Camino Real Elementary School in Arvin, California, attend an assembly to learn about the school&apos;s new water filters that help treat arsenic and other contaminants. California&apos;s state government has, in recent years, tried to tackle this problem—most recently with new legislation that approved $9.5 million in funding for the Drinking Water for Schools Grant Program. Over the coming years this money will be used to install safe water systems in schools in disadvantaged communities. "I came here in the summer of 2010 as superintendent," Michelle McClean says. "I was met by a group of community members called Committee for a Better Arvin. They began talking to me about poor water quality—higher levels of arsenic and fertilizers." 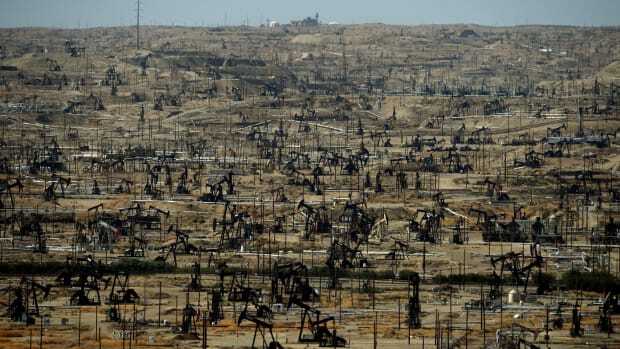 In 2008 the Environmental Protection Agency cited Arvin Community Services District, which provides drinking water for the city and schools, for exceeding the maximum contaminant level for arsenic. The water district was given two years to fix the problem and then granted another four-year extension, which it still failed to meet. Arvin&apos;s water has tested as high as three times above the level deemed safe by state and federal standards. 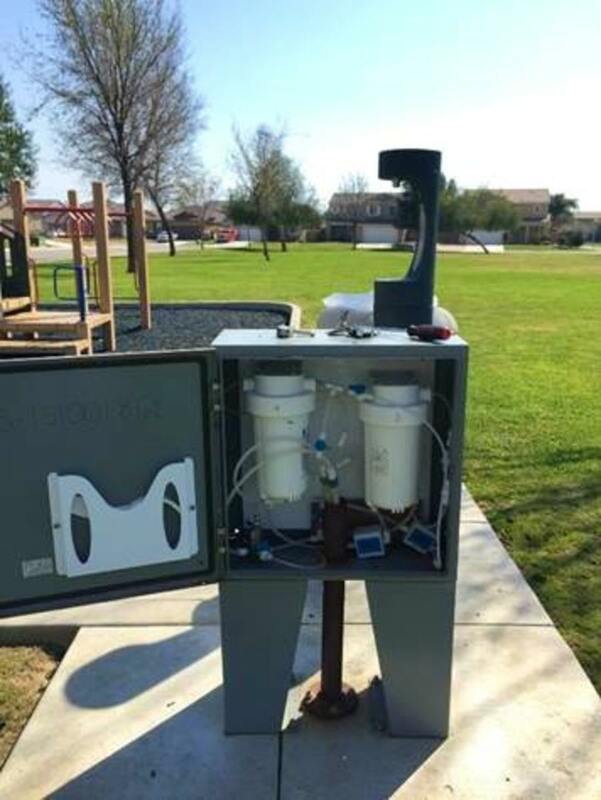 While the water district looked for new sources of clean water for the community, the school districts worked with the state and local non-profits to find an interim solution—point-of-use filters that can be hooked up to water sources like drinking fountains or sinks to remove contaminants such as arsenic and lead. The installation of filters was accompanied by public education, says Jerry Tinoco of RCAC, who is helping to implement the interim school drinking water program. Tinoco grew up in Arvin but at the time arsenic wasn&apos;t considered an issue. He says everyone regularly drank from the tap. The maximum contaminant level set by the federal government was 50 parts per billion then. But in 2001, after research concluded the standard didn&apos;t adequately protect public health, the arsenic standard was lowered to 10 parts per billion, which put Arvin out of compliance. But now, he says, "there has been great effort to educate the public about arsenic in the water." And he&apos;s been part of that effort. "After we installed the filters initially, we had an assembly where we talked to the students about where their water comes from, what arsenic is—letting them know they should try to avoid drinking water from the tap at home," Tinoco says. 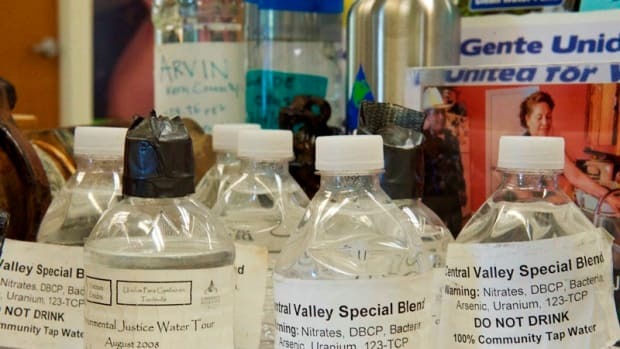 "We&apos;ve had a series of public workshops and there are parents that are very worried about it because kids are more susceptible to some of the things that arsenic causes." The effects have been positive so far. "We&apos;ve seen the water consumption going up in the schools," Wallis says. "It&apos;s good to see. We&apos;re approaching providing 200,000 gallons of filtered water down there. Having a six-year-old come up to you and ask if he&apos;s allowed to drink the water and you can say, &apos;Yes you are&apos;—that&apos;s really been a great thing." Since then, student attendance in Arvin&apos;s schools has gone up, McClean says, and she believes annual physical fitness test results for students have also improved as fewer students have been drinking only sodas and more have begun drinking water on a regular basis. "It&apos;s great having the kids get the water they like to drink, and it&apos;s helping out the overall health of everybody down there," Wallis says. A point-of-use filter at Felecita Park in Arvin, California, helps treat arsenic and other contaminants in the water. The health of his students is a primary concern for David East in Avenal as well. Avenal is a sleepy little community. A sign in town announces it to be "the pistachio capital of the world." There&apos;s a lot of produce grown around there, yet precious little of it makes its way into local stores, says East, who bemoans the fact that the choice of vegetables to buy is limited to "iceberg lettuce and cabbage." Nearly all of his students are poor enough to qualify for assistance programs for school lunch. 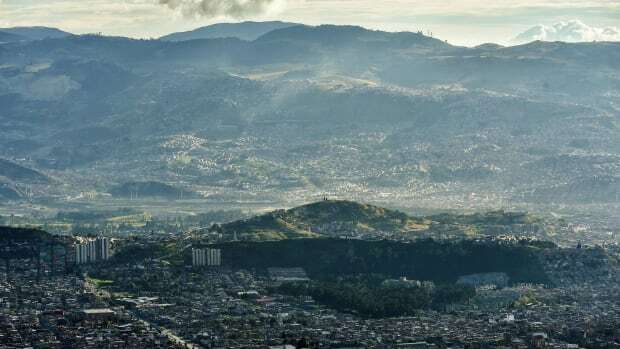 Anisha Patel, associate professor of pediatrics at University of California–San Francisco School of Medicine, says dangerous water represents an ongoing environmental justice catastrophe. In poor counties of the San Joaquin Valley, she said that half of all kids "are overweight or obese by the time they&apos;re in fifth grade. And if they don&apos;t trust the water, they&apos;re not going to drink it." Instead, she says, they may resort to drinking sugary sodas as their default liquids. For years, locals in Avenal have shied away from tap water—even before they knew about unsafe levels of disinfectant byproducts—bemoaning its taste and its rusty appearance, and digging into what little money they had to buy five-gallon jugs of bottled water, according to East. But things are improving there too. 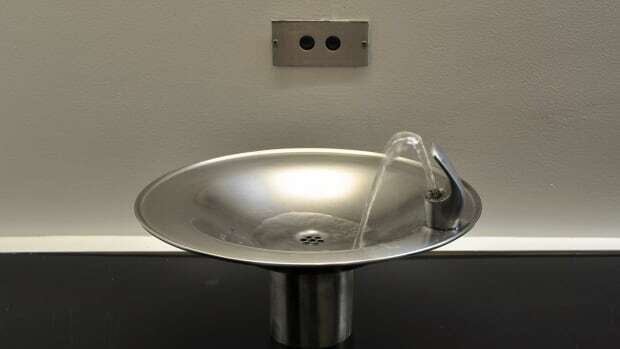 Although food in Avenal schools is still cooked in the cafeteria with bottled water, over the past year, using grant money provided by a local agricultural produce company—the Wonderful Company—schools have installed point-of-use water fountains. These shiny metal fountains each have their own sophisticated reverse osmosis filter system. And state funding has been used in East&apos;s Kettleman City school to treat arsenic with point-of-use filters. Gradually, as a result, the students have begun drinking water again, East and his principals believe. But restoring confidence in public water systems takes time too. George Lopez, a custodian in the district, says, he&apos;s gotten into the habit of only drinking bottled water, and East himself says the same thing. Despite all the investments in safe water systems, he prefers the taste of bottled water, and he still fears the contaminants in local tap water.